You always take your best girl out on Valentines Day. Wine and Roses couldn't hurt. 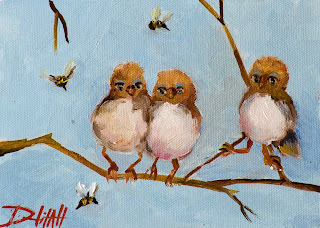 I have been having a wonderful love affair painting these chubby little birds. After I painted these one the title Birds and Bees seem to fit. Several sources give credit to Cole Porter for coining the phrase. 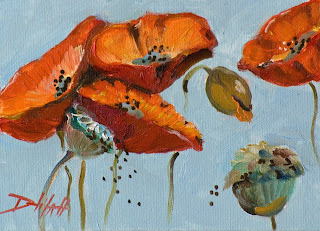 post your opinion in the comments" or email me at delilah@artbydelilah.com,,Thank You:Visit my web site Art by Delilah http://www.artbydelilah.comDelilah Smith" Daily Painter"
I wanted to do a painting of poppy seeds. At first I thought of a muffin with seed on the top. I love lemon poppy seed muffins and it would have been an excellent excuse to make a batch and eat all the ones not needed for the still life. Then my muse came dancing my way with this idea of poppies bobbing in the spring breeze and seeds being carried by the wind. About This Painting: The whole family is out pecking in the barn yard. 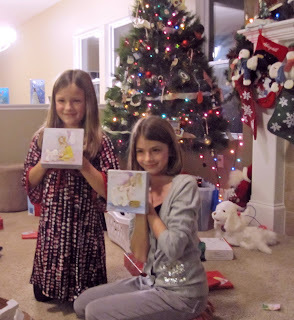 The rooster and the hen have a whole brood of chicks. 5x7 oil painting on canvas mounted on a museum quality panel. 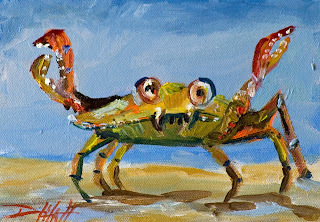 oil painting of a whimsical crab on canvas mounted on a museum quality panel. 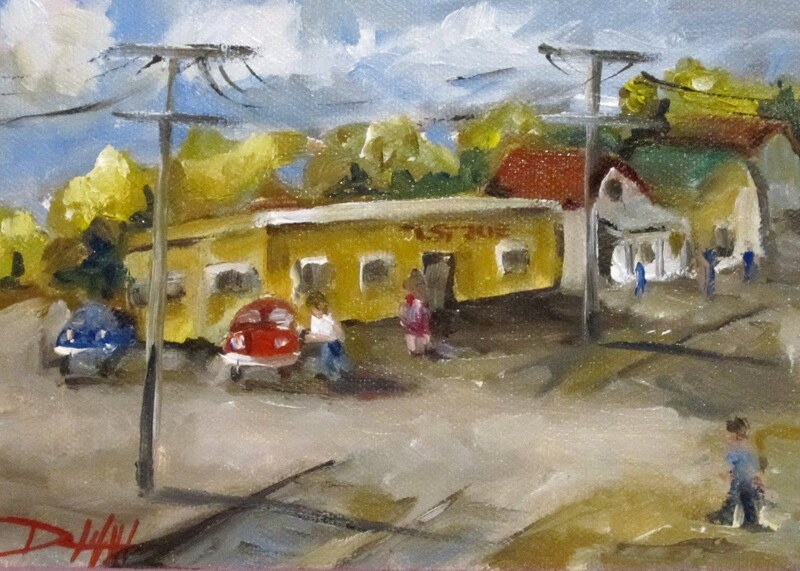 About This Painting: A stop along the road for a cup of coffee and breakfast at the local dinner, Just Joe's. This is a 5x7 oil painting. It has been painted on canvas that is mounted on a museum quality panel that is ready to be framed. Michigan Peaches are out of season right now but I am sure this little bee doesn't care. 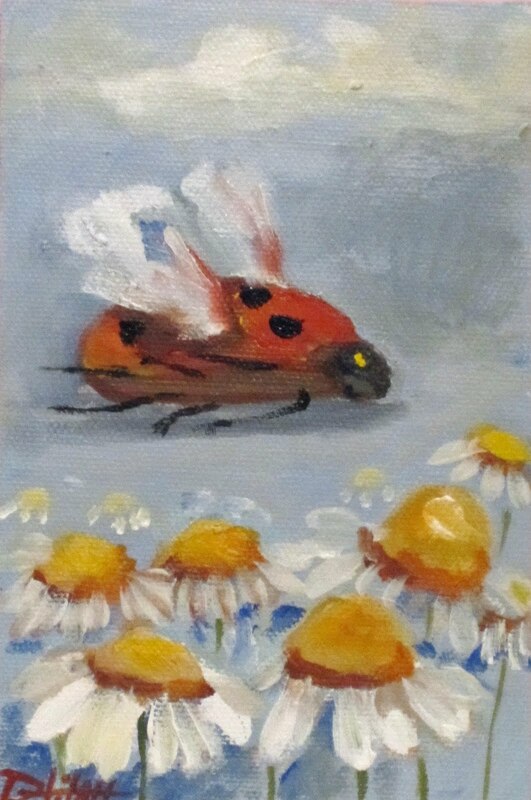 This painting is 5x7 painted in oils on canvas mounted on a museum quality panel. It is ready to frame. The low calories in these avocados are just one of the benefits of owning this painting. My daily paintings are like small children to me. Each should have a title, a name all of its own, something to live up to, to take with it to it's new home. After all they are my children and children should have names. Titles are more then names, they can help bring the view closer to what the artist was thinking at the time. They also make life easier when doing business transactions. I am guilty of the numbering habit I fall into when time is short and my mind is numb. In the fall when I am in love with the tomato's in my garden and paint them for days on end in a variety of still life often number them Heirloom 1,2 and so on. Bad Delilah, creative title are important. For the next month no numbers all fresh new names for my babies of wet paint. About This Painting:A little Michigan Farm Art for you today. oil painting on canvas mounted on a museum quality panel ready to be framed. This painting can be purchase by clicking here. About This Painting: A sea of Umbrellas in the misty rain. 5x7 oil paintings on canvas mounted on a museum quality panel. Do you want to add a little kick to your meal? Chillies come in a variety of shapes and colors. They can be sweet or very hot. 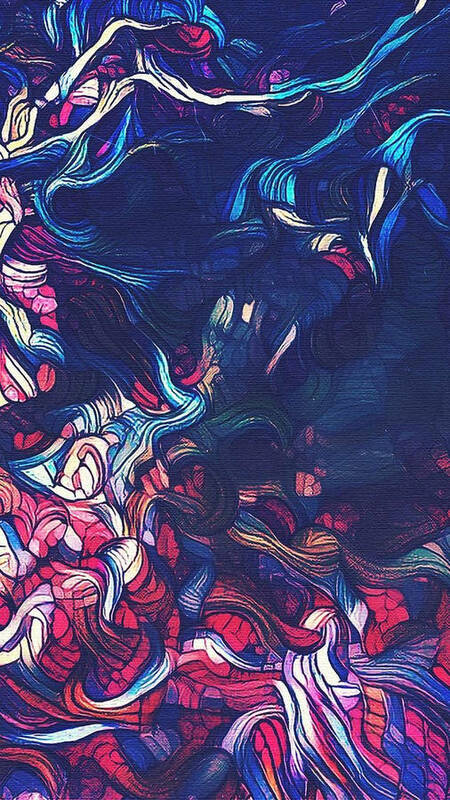 It is the shapes and colors that intrigue me as an artist. I like the way they can twist around and cast shadows. I find the colors exciting and bold from dark blue black greens to light creamy yellows. If you cut them open the seed pods offer even more excitement and interest for painting. prints are available click here. This painting of an avocado has such a wonderful abstract quality about it. I was pleasantly surprise with its boldness and think I could push this into a very large painterly work.I am wondering if a different background color on a larger work would make it a stronger composition. Any ideas on this. This is an oil Painting on canvas Mounted on a Museum Quality panel ready for framing. I have been working in my daily sketch idea book with repeat images. Chicken work well with this. I have tried placing them all different ways. I am just having a great time clucking around. Artist need a stream of ideas, something that gets us excited and fires up the old paint brushes. Inspiration strikes me at the oddest times, standing in line at the grocery store,running,in the middle of the night, that is why I created my idea book. To read more about how I journal and sketch my ideas visit my blog at Art by Delilah. oil on canvas mounted on a museum quality panel ready to frame. About This Painting: I did the first Hot Stand that I painted was in the town of Adrian on the street. 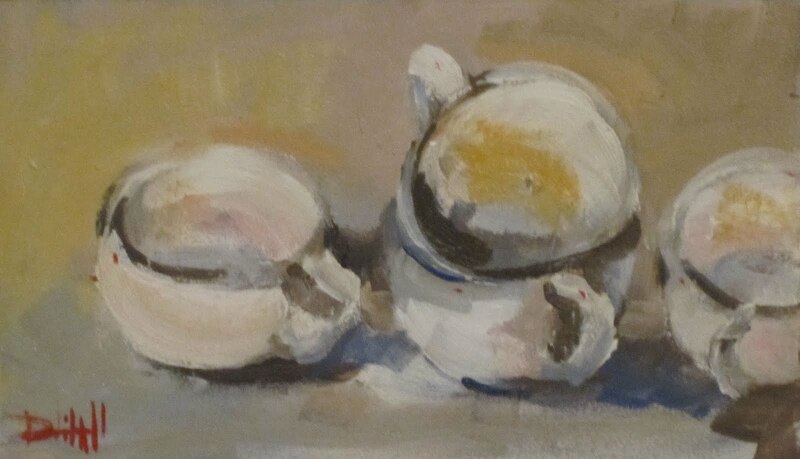 It was great fun.This painting I did from sketches that I did at that time and pictures that I took. Small oil painting on gesso board ready to frame. Support:canvas mounted on museum quality panel ready to be framed. 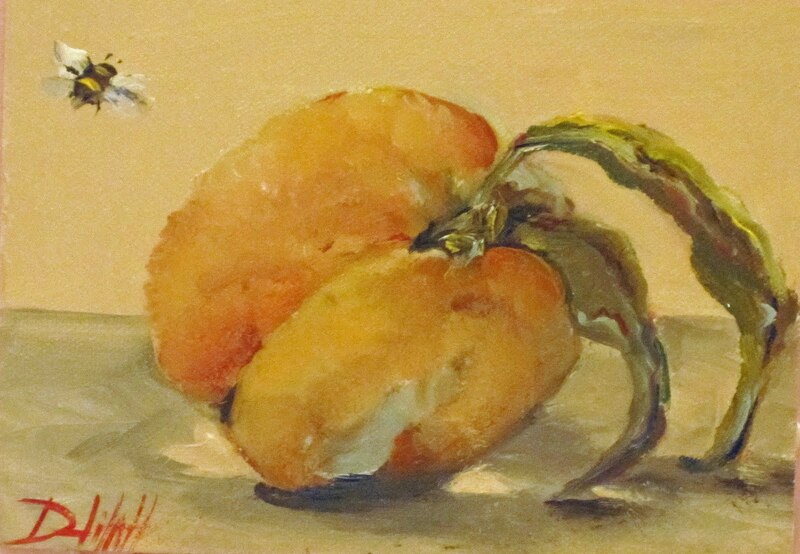 oil painting on canvas mounted on a museum quality panel ready to frame.Contemporary vegetable still life. About This Painting:It is always nice to have a group of friends in for Breakfast. 5x7 oil painting of Chubby Birds on canvas mounted on a museum quality panel ready to be framed. I like to be very expressionist when I paint flowers and just let they oil paints flow. When I painted this I thought of Otis Redding sing "Sittin on the Dock of the Bay. oil painting on canvas mounted on a museum quality panel. 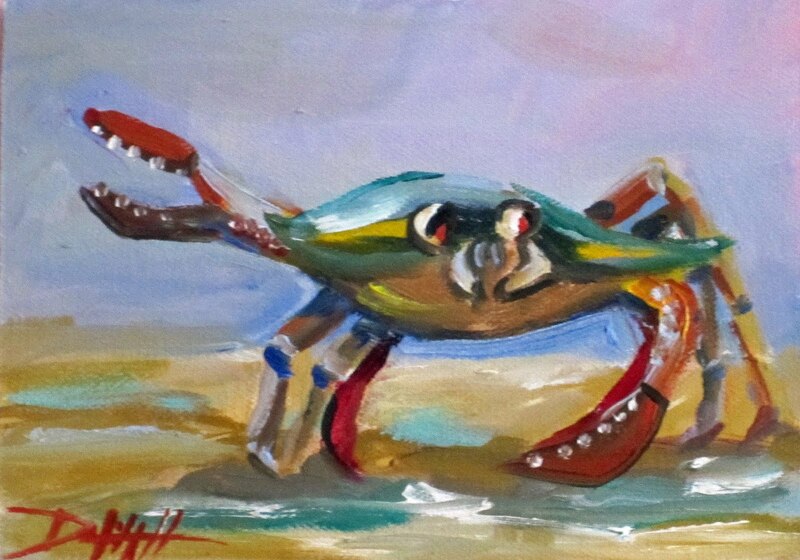 This painting is 5x7 and is ready to frame. 5x7 oil on canvas mounted on a museum quality panel ready to frame. What is it about Chickens? They walk funny, they look funny, and they are just plain fun to paint. 7x5 oil painting on canvas mounted on museum quality hardboard ready to frame. 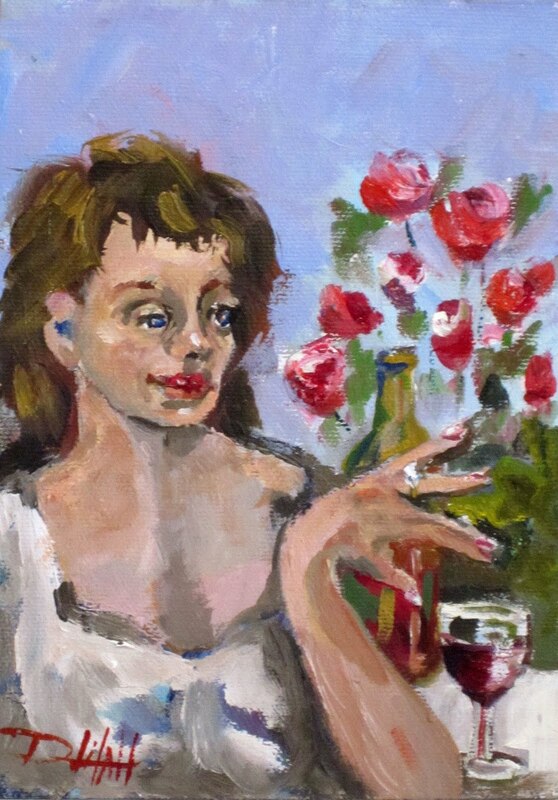 About This Painting:Yesterday I said I found a painting I did this fall in my small plien air cigar box . Here it is some sheep in a pasture at a near by farm. 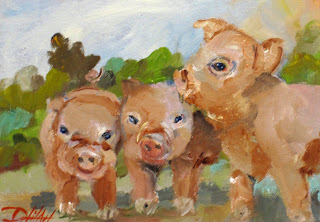 About This Painting: Farm animals seem to be on my mind right now. Chickens, Pigs Cows. I haven't done a cow painting in a while so maybe in the next few days I will see what comes to mind.I was cleaning the studio over the Holidays and picked up my cigar box plien air easel and low and behold there was a painting in it I had forgotten about. I had gone down the road to a sheep farm ad sat out and painted the animals, came home sat the box down and totally forgot the painting was in it. So with a few touch ups I think I will post it tomorrow. oil painting o canvas mounted on a museum quality panel. This painting is ready to be framed. 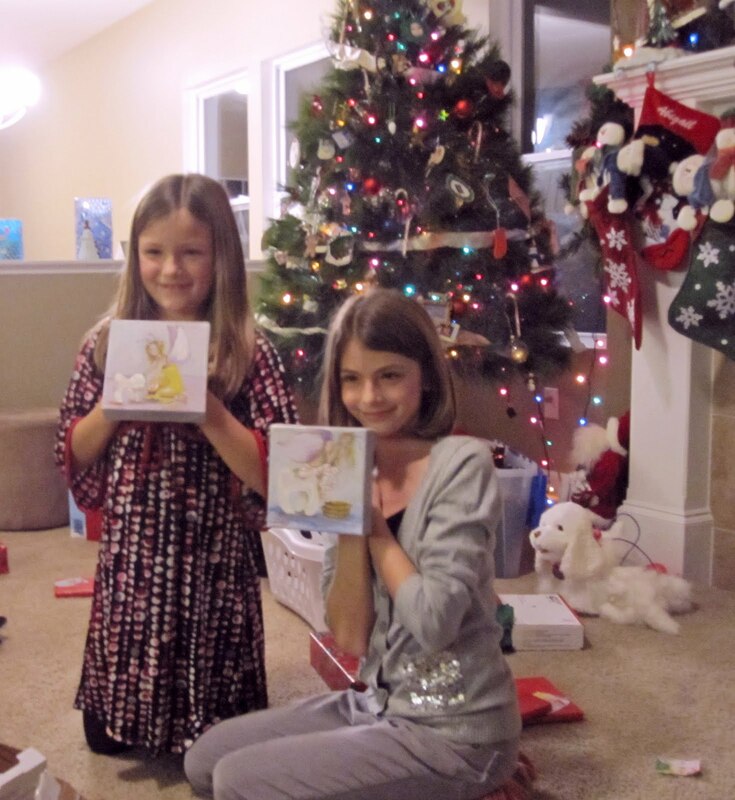 Two very happy customers show off their new art Christmas gift. About This Painting: The Painter loves little piggies. About This Painting: There is a big pond across the street where ducks and geese swim in the summer but in the winter they just walk around look for a hole in the ice. 5x7 oil painting on canvas mounted on hardboard, ready to be framed. Don't we all dream of peace. About This Painting: There is alway someone to crash the party so make few extra cupcakes and let the fun begin. About This Painting: Three little birds jocky for room on a limb. This is an oil painting painting on canvas that has been mounted on a museum quality panel that is ready to be framed.